Retailers are gearing up with back to school promotions for outfits, supplies and even “tax-free” weekend first week of August. Parents and teachers know it’s important for kids to have everything they need to help them succeed in the upcoming school year. “It’s also a great time for parents to schedule an eye exam,” says Dr. Stewart Shofner. As a father of three, Dr. Shofner knows the importance of preparedness, but as an Ophthalmologist, he is also very familiar with prevention. Eye exams for children are very important to insure your child's eyes are healthy and have no vision problems that could interfere with school performance and potentially affect your child's safety. Early treatment can stop bigger problems down the road and detect vision issues that could impair eyesight for life. What Can Early Eye Exams Detect? 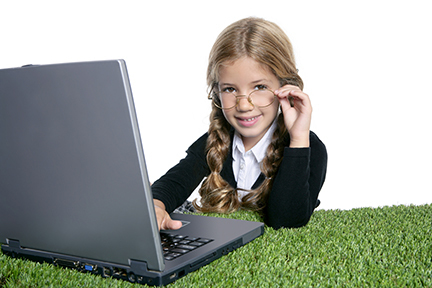 Children's eye exams can identify near-sightedness, farsightedness, and astigmatism. These vision conditions can be easily remedied with prescription glasses. The risk of myopia and progression of myopia continues through the school years. Additionally, an eye doctor can detect amblyopia, which is more commonly known as “lazy eye”. Treatment includes a corrective eye patch on the normal eye so it forces the weaker eye to work harder and improve. The younger the child, the better to avoid a grade-school eye patch. What Age Should Children Receive Eye Exams? According to the American Optometric Association (AOA), infants should have their first comprehensive eye exam at 6 months of age. Children then should have additional eye exams at age 3, and just before they enter the first grade — at about age 5 or 6. For school-aged children, the AOA recommends an eye exam every two years if no vision correction is required. Children who need eyeglasses or contact lenses should be examined annually, or as recommended by their optometrist or ophthalmologist. In addition to laser vision correction (LASIK/PRK and Cataract Surgery), Shofner Vision Center offers general and comprehensive vision care to patients age 10 and older. Regular eye exams throughout your life are important, but not always for the same reasons. Just as our bodies require evolving care, so do our eyes. Find out why an eye exam at every life stage is an important part of your healthcare routine. Contact Shofner Vision Center online to schedule a comprehensive exam or call (615) 340-4733.